These milkshakes bring all the gamers to the yard, and they're like "you wanna slide shakes?" Prettygreat's latest title is in line with the rest of its games. How do I know this? It's all about sliding things. 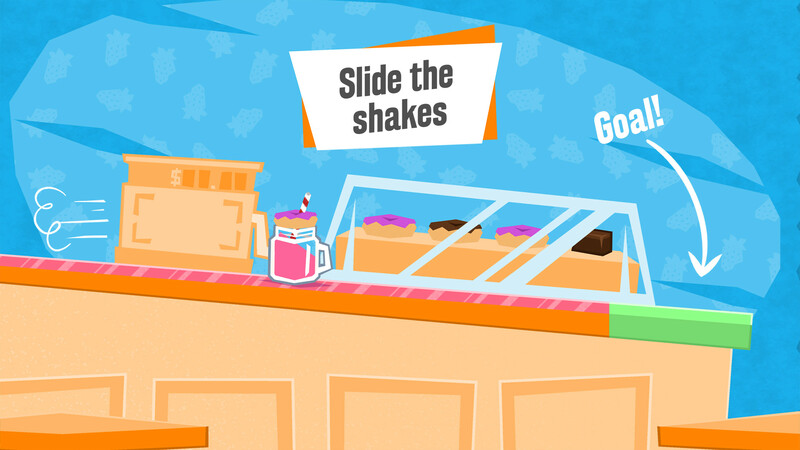 While previously the company was all about sliding land, now Prettygreat is encouraging us to Slide the Shakes. That's good news, because I would very much like a milkshake. This game looks like it's all about getting the shakes to the right place without spilling them everywhere, which is something I wouldn't be able to do if I were an actual waitress. I can barely carry my own while walking. So maybe this game will help me perfect that skill. Probably not. Enjoy the launch trailer anyway.